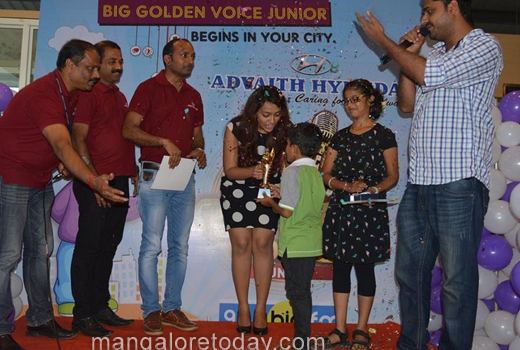 Mangaluru, June 5,2017: Dakshina Kannada’s most heard FM station 92.7 BIGFM conducted BIG Golden voice junior for the kids below 16 years in Mangalore at Advaith Hyundai, Kuntikana ,Mangalore showroom . Prelims were conducted on May 27th. More than 35 kids participated and in that top 12 have selected. 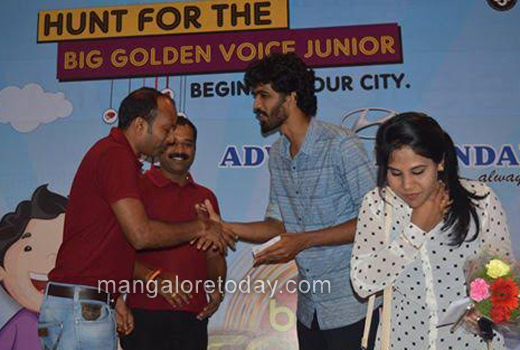 The top 12 where Shriya Bhandary, Tanush Raj, Nagayya, Sanath, Devika Prashanth, Ananya ,Kiran Chinmayi ,Jovita , Rakshitha Shetty, Anuskha, Khsitij, Rovina selected for Finals. 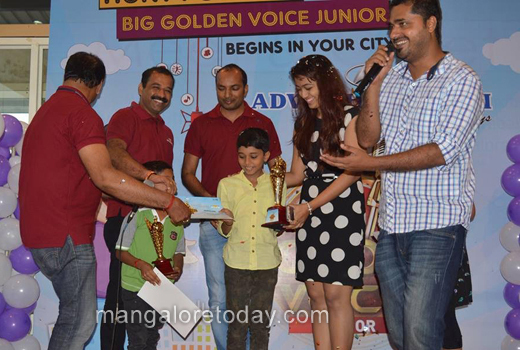 Final’s of BIG Golden voice conducted on June 3rd at Advaith Hyundai Showroom, Kuntikana,Mangalore. 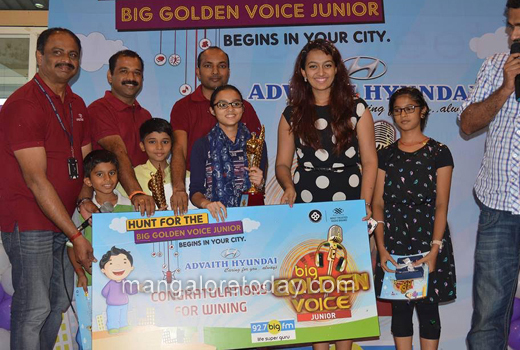 Popular singer and actress Esther Noronha, Classical and orchestra singer Jostna and trained musician Melroy were the judges. 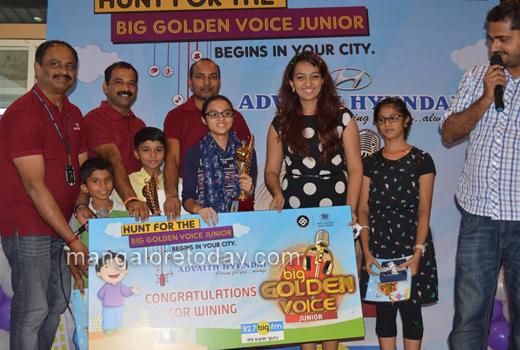 Devika emerged as the winner of BIG Golden voice junior. Rj Errol compered the programme. Joel Rebello welcomed the guests. 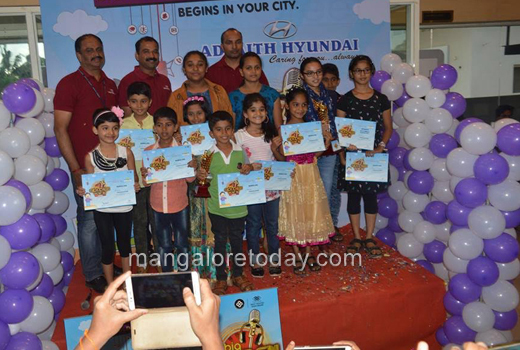 Rj Roopesh, Arun Viswanath,Kiran Naayar, Alston from Big FM & Melwyn,Sudhakar and others from Advaith Hyundai were present on the occasion.